Greatest Rube Goldberg I ever saw. During our Simple Machines unit I am definitely sharing this video. This video shows how I would have liked my three girls to play with toys. We need to remember STEM should focus all students to integrate Science, Technology, Engineering, and Math into their lives! Forget those Barbies...My friend sent this out as well as my fellow Science Blogger...Science Penguin. Check it out! 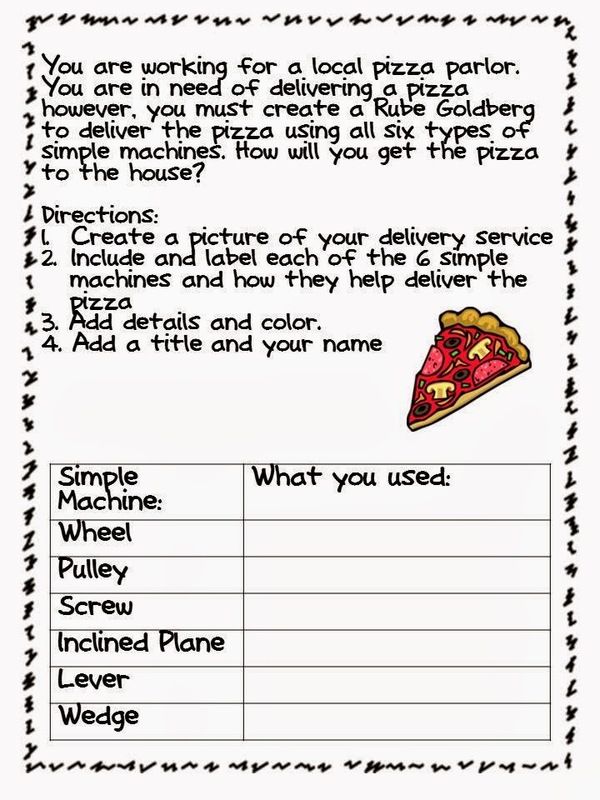 Here is an activity I use during my simple machines unit. 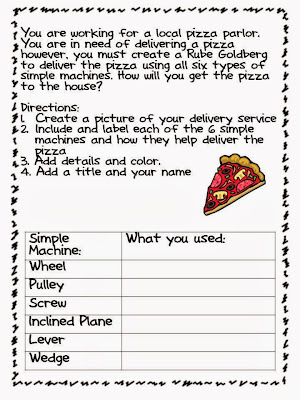 It is fun to see all of the different ways to deliver a pizza.